MEMPHIS, Tenn.--(BUSINESS WIRE)--For Americans already dealing with their fair share of snowfall following Winter Storm Harper, ServiceMaster Restore, one of the largest disaster restoration companies in the United States, is reminding home and business owners that there’s more to it than clearing a walk or driveway before temperatures plummet across the country. When a significant amount of snow falls, or when snow banks naturally pile up as they often do during winter months, it’s important to dig out the areas around natural gas meters or exhaust vents. Failure to do so can put you and others at risk for carbon monoxide poisoning, which has severe health consequences. Too often, it’s not obvious there’s a crack in a building’s foundation until the worst has happened: water intrusion. Many home and business owners store valuable belongings or equipment in basements, all of which could be damaged or destroyed when water enters from the outside. Roof rakes are often very affordable and quickly become a hot commodity during winter months, particularly after a significant snowfall. 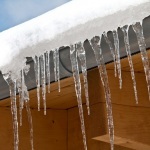 According to the Insurance Institute for Business and Home Safety, most residential roofs in good condition can support 20 pounds per square foot of snow, which equates to around four feet of fresh snow or two feet of old, packed down snow.1 While snow is still soft and moveable (versus heavy and frozen), use a roof rake to push it off from a safe location on the roof. For business owners with large, flat, warehouse type roofs, consider calling a professional who can safely remove snow from the top of buildings. Sometimes even the most prepared find themselves in a situation that requires the help of restoration professionals, like ServiceMaster Restore. For immediate assistance, call a live ServiceMaster Restore operator 24/7 at 1-800-RESPOND. To find a location, visit ServiceMasterRestore.com. For expert tips, visit YouTube or like us on Facebook. With approximately 2,000 franchised and licensed locations around the world, ServiceMaster Restore and ServiceMaster Recovery Management (SRM) serve customers through a global network of franchises available 24/7/365 to provide residential and commercial restoration services resulting from damage caused by water, fire, smoke or mold. SRM is the large-scale commercial catastrophic disaster restoration unit of ServiceMaster Restore. ServiceMaster Restore and SRM have operations and consulting experience on countless disasters, including clean-up after Hurricanes Harvey and Irma, wildfires in California and Calgary, and the Pentagon after September 11, 2001. ServiceMaster Restore is the Official Disaster Restoration Specialist of Minor League Baseball™. ServiceMaster Restore is a business unit of Memphis-based ServiceMaster Global Holdings, Inc. (NYSE: SERV), a leading provider of essential residential and commercial services. More information can be found at servicemasterrestore.com and srmcat.com. ServiceMaster (NYSE: SERV) is a leading provider of essential residential and commercial services, operating through an extensive service network of more than 8,000 company-owned locations and franchise and license agreements. Our well-recognized brands include AmeriSpec (home inspections), Copesan (commercial national accounts pest management), Furniture Medic (furniture and cabinet repair), Merry Maids (residential cleaning), ServiceMaster Clean (janitorial and residential floor cleaning), ServiceMaster Restore (disaster restoration), Terminix (termite and pest control), and Terminix Commercial (commercial termite and pest control). Like, follow or visit us at facebook.com/ServiceMaster, linkedin.com/ServiceMaster, twitter.com/ServiceMaster, or servicemaster.com. 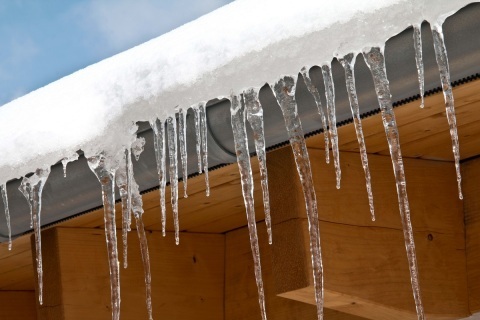 1 “Prevent Roof Collapse on Homes.” DisasterSafety.org, Insurance Institute for Business & Home Safety, 16 Oct. 2015, disastersafety.org/freezing-weather/prevent-roof-collapse-homes/.